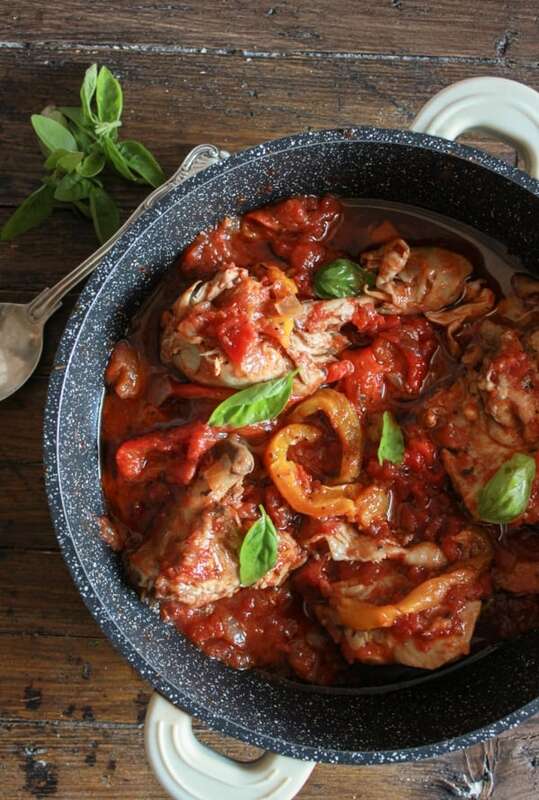 Italian Chicken and Tomato Skillet with Roasted Peppers, a fast and easy dinner dish. 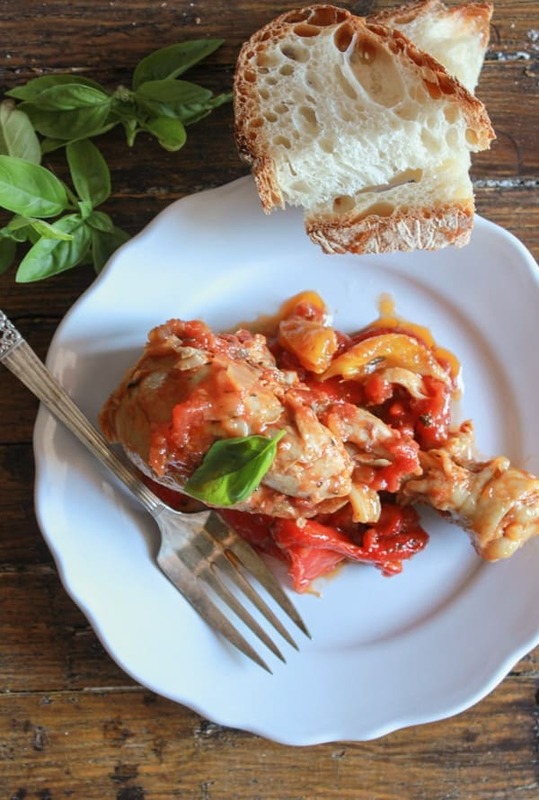 A delicious combination of chicken and roasted peppers makes this a tasty and healthy recipe. Well to tell the truth it could be 2 skillets, but don’t worry about it, we’ll get to that later. 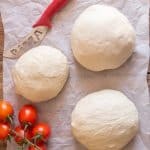 This is a typical Italian comfort dish. 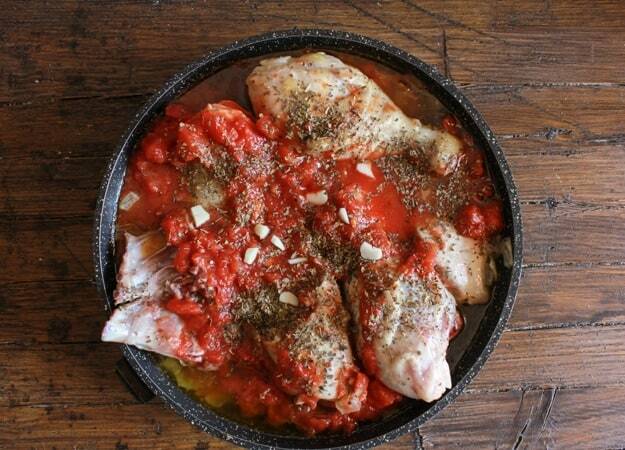 Chicken, peppers, onions and of course tomatoes, and let’s not forget the perfect Italian spices. My sister tells me that if we ever ran out of oregano I would be totally lost. She is probably right! 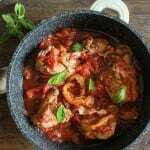 Because I have to say I love it in this Italian Chicken and Tomato Skillet with Roasted Peppers dish.What I really love about this recipe is, you aren’t just doing ordinary fried peppers but Roasted Peppers. I like them roasted. I wanted to remove the skin and you couldn’t boil them to remove the skin, they would get all mushy and you can’t peel peppers, well maybe you can but I have never tried, so roast them (thanks to the Italian) I did. 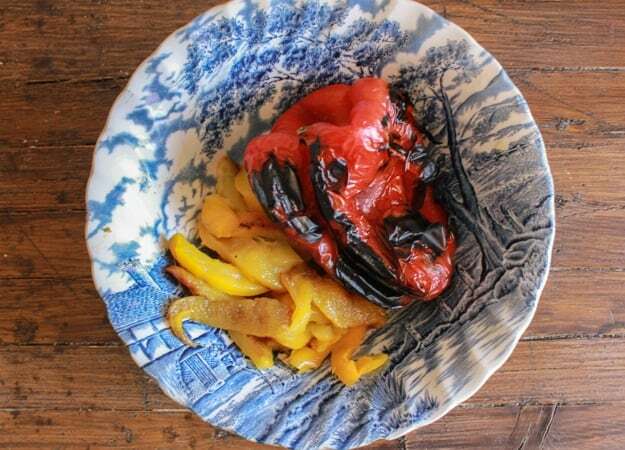 If you have never had roasted peppers they are a definite must. 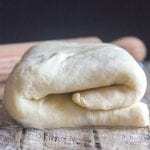 They make a delicious appetizer especially when served with crusty Italian bread. Amazing! So my advice is: don’t roast just two, four or five might be a better idea. While your chicken, onions and tomatoes are simmering in the skillet, start roasting those peppers. I usually use my trusty pan grill, but any grill or bbq will work. After they are completely burned, let them cool in a bowl covered with plastic wrap, or in a paper bag like my mother-in-law does, then slice and fry for 10 minutes (this is where that 2nd skillet comes in, sorry). You can let them get as golden as you like then mix together with the chicken, simmer for another 10 minutes, start cutting that Italian crusty bread, nothing like soaking up all that yummy sauce, as they say in Italian “fare la scarpetta”. 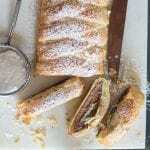 Buon Appetito! 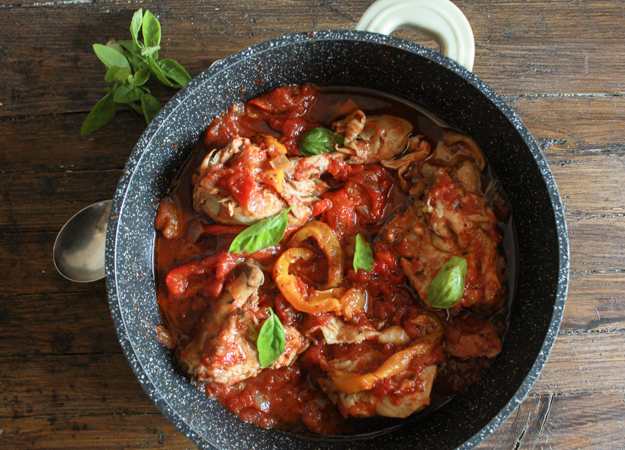 Italian Chicken and Tomato Skillet with Roasted Peppers, an easy delicious Italian recipe, the perfect family dinner, healthy and Paleo. In a large pan add olive oil and chopped onions, sauté until transparent, add chicken pieces and brown on both sides, then add tomatoes, garlic,oregano, basil, salt, water and hot pepper flakes simmer on low to low medium, half covered for approximately 1 hour (or until chicken is cooked and no longer pink), stirring occasionally, if you find it is getting too thick add a little more water. While the chicken is cooking, grill the peppers until burnt on all sides, remove from grill, place in a bowl and cover with plastic wrap, let sit 15-20 minutes, remove skin, seeds and inside core, cut into strips. In a large pan add 1/2 - 1 tablespoon olive oil and sauté peppers until golden (or until cooked to your desire), approximately 10 minutes, add the chicken mixture and gently mix together, (at this point taste for salt, you may need to add more) cover and let simmer for another 10 minutes. Serve immediately. Enjoy! When you first cook the chicken, do you cover it? thank you to let me know. Hi Louise, I think it is best to half cover it while it is simmering. Hope you like it. Have a great weekend. Oh how wonderful this sounds, i can not wait to make this and will probably be adding pasta to go along with it, love ya . 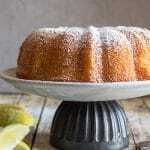 HI Mary Frances, I hope you enjoy it, and I’m sure with pasta it will be delicious. 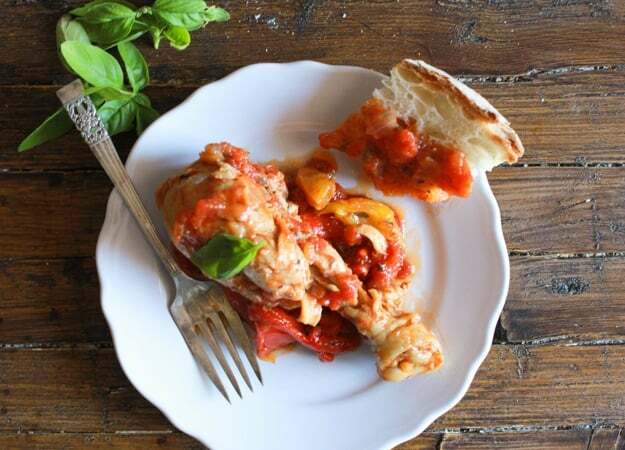 CHICKEN + Tomatoes is a definite favorite combo of mine! So this has me DROOLING! Hi Gigi, hope you enjoy it, I love the combination also. I love chicken recipes — just because we eat so much chicken! Thank you for giving me more ideas!